Morehead Manor of Durham was featured on UNC TV with NC Weekend host Deborah Holt Noel. We are situated in the Historic Morehead Hill which was founded by people who worked at the tobacco companies. 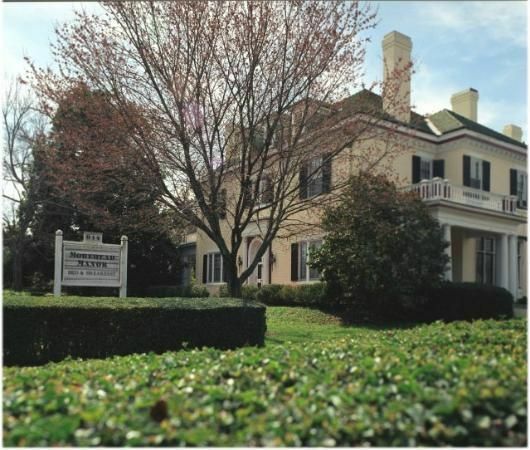 The Morehead Manor house was originally built by James Cobbs who was one of Durham’s founding tobacco leaders. The downstairs area of Morehead Manor is around 3500 square feet of mostly common area. There is a large collection of art throughout the bed and breakfast (including paintings and sculptures) that feature backs. Following a critical accident, Innkeeper Daniel Edwards gained a new appreciation for this body part that often holds everything together. In addition to the indoor spaces, guests are welcome to stroll outside this late nineteenth century Colonial Revivalist Mansion. As part of the relaxation provided at Morehead Manor, we have a hammock out in the back garden as well as swings so our guests can come and relax with their lemonade, or if they bring their own wine, they are welcome to come and hang out. In the rear garden, we have a mannequin by the name of Crystal who is our staff psychologist. We tell our guests that she handles all the guest problems that we can’t handle, and if you need to speak with someone in the highest of confidence, you can come out and speak to Crystal because she is guaranteed not to repeat what you say to her. 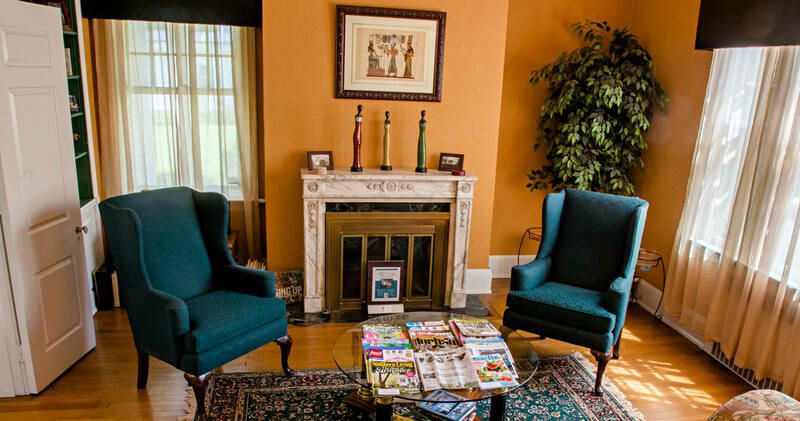 We enjoy providing a respite for our guests that come to Durham. In the video, guest Maxie Lee who resides in Norfolk, Virginia says that he is a North Carolinian. He has gotten to know the city of Durham much better since he has been traveling in and out of Morehead Manor. There is the universities, the arts, the great entertainment at DPAC (Durham Performing Arts Center), and sports. All of our guest rooms are located on the second floor. We do have five bedrooms with five baths. The Magnolia Suite is actually the largest guest room. It has a king size wooden canopy bed with lights in the headboard. There is also a separate sitting area. The Jasmine Room is another room which faces the front. It was recently redone with nice turquoise and purple coloring. On the back side of Morehead Manor, we have the Tiger Room. Being on the Western side of the house, this room gets the most afternoon sun and is a very bright room. The Eagle’s Inn Room was named after the North Carolina Central University mascot since both of us are NCCU alumni. The feature of that room, other than the two queen size beds, is the shower which is the original seven-head shower that guests call the “human carwash.” We joke that we hope this does not make our guests late for breakfast. We enjoy being partners in crime and Daniel also is a crime fighter. Daniel says it is his duty to protect and serve the Durham community. He says that baking is fun and helps keep him balanced. One of the delicious things he bakes is his Carrot Coconut Crush Cupcakes. After breakfast, to help visitors get out and enjoy what Durham has to offer, taxi via Pedicab is available. Guest Emma Scott from London, England says that what has been so interesting and enjoyable is the welcome reception and the hospitality which she thinks of as being Southern hospitality. She said that it has been absolutely delightful. We bring you the comfort of home with special treatment and access to big-city attractions. The Morehead Manor is the getaway that’s not too far away. Special thanks to host Deborah Holt Noel and the whole UNC TV team. Thank you for featuring us! This entry was posted in Uncategorized and tagged common area, Durham, Eagle's Inn Room, garden, guest rooms, historic, Jasmine Room, Magnolia Suite, Morehead Manor, pecan stuffed croissants, respite, Southern hospitality, UNC TV, video by admin. Bookmark the permalink.